Alien Monsters have invaded the planet. Our weapons are useless. There is only one way of stopping them: Crush them with our skyscrapers! 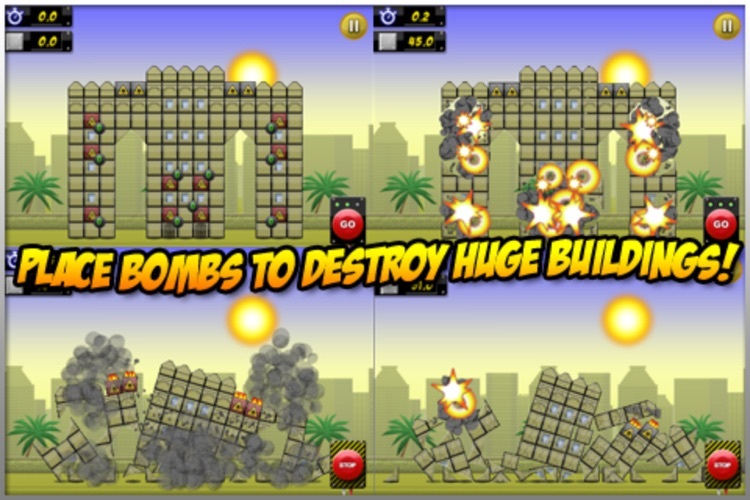 Plant your bombs in the tallest buildings and watch them fall on the invaders. 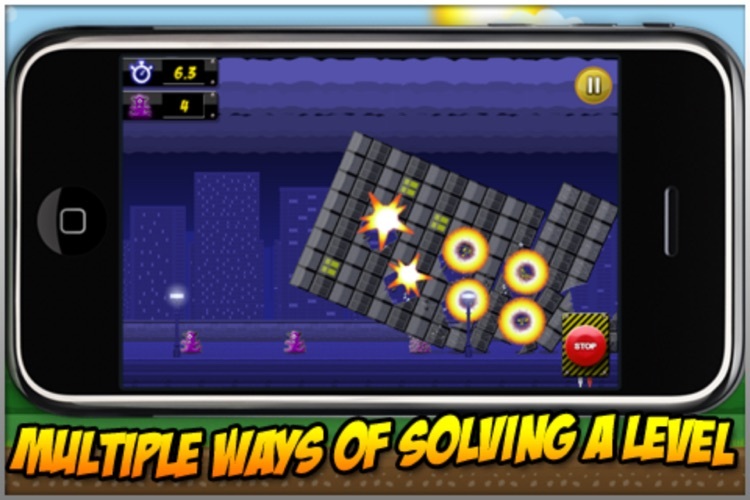 Monster Crush is a physics based puzzle game that puts you in the role of a demolition expert. 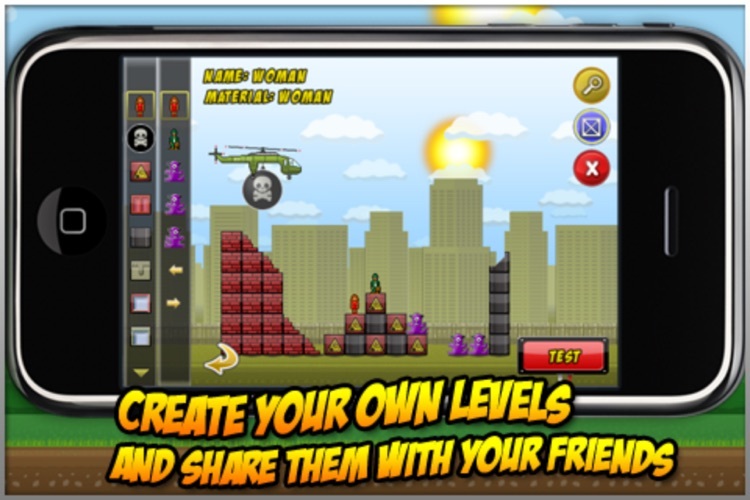 iPwnAge.com (9.5/10) - "Within several minutes of playing, I knew this would be one of the 5 apps I would actually go back to." PocketFullOfApps.com (4.5/5) - "What I love about Monster Crush is that it involves a lot of strategy, and unlike other puzzle games where you just randomly place objects to see what happens." 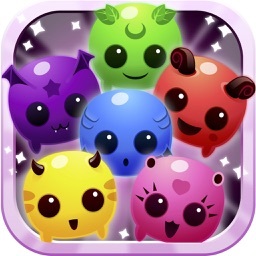 AppSpy.com (4/5) - "The real magic of Monster Crush is in its ability to be one part strategic puzzle with an equal part of fun physics toy. 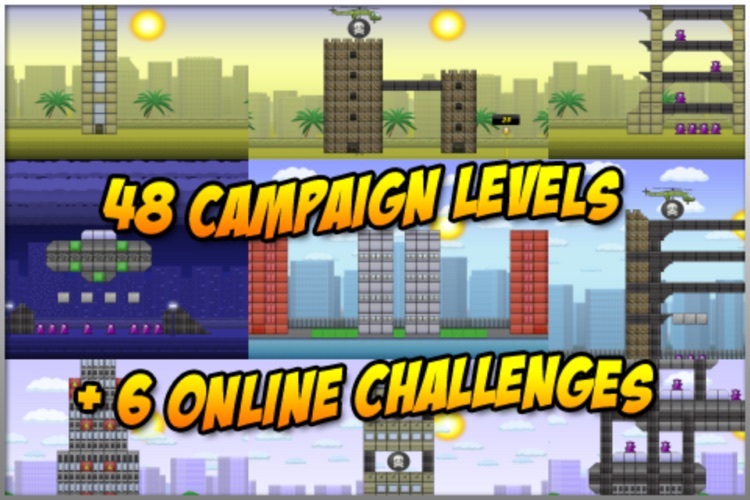 Replaying levels for new solutions or better outcomes quickly becomes dangerously addictive. 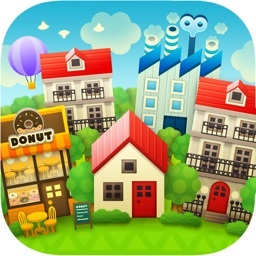 With so much to do and enjoy, this is a must try game." 1- The Black Bomb: Makes a nice round hole in a building but can only destroy soft materials. 2- The Cutter: Slices a piece off the building. Can cut through heavy steel. 1- Bowling: Get a wrecking ball as far as possible. 2- Crush Monsters: Try to crush all monsters. 3- Girder Construction: Make constructions to guide the wrecking ball. 4- Demolition: Blow as much up as possible using high explosives. 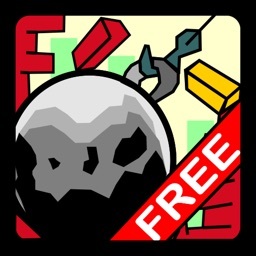 5- Limbo Dancing: Get the building below a certain level. 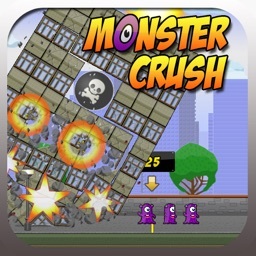 Monster Crush is a combination of "Tiki Towers" and "iBlast Moki". 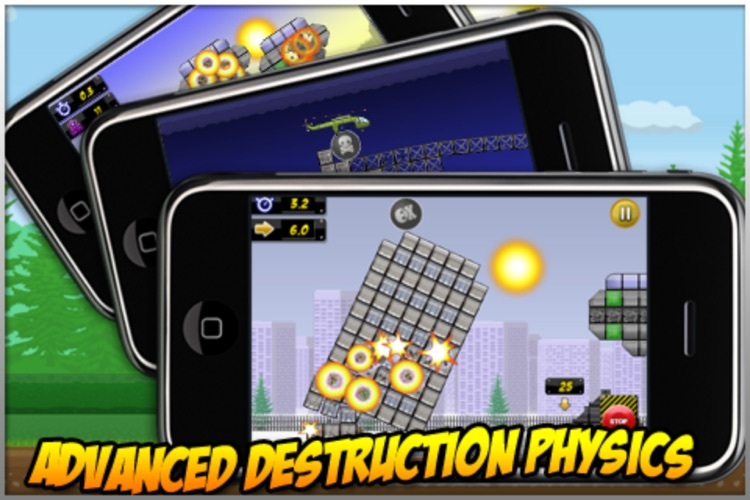 The game uses advanced physics to simulate the destruction. 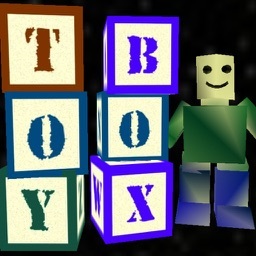 Games like "Angry Birds" and "Implode" use only stacked boxes. Now whole buildings can collapse to the ground. Windows will break and dust will fill the sky! After an extended weekend full of food and beverages, there probably isn't a more necessary free app to download than My Fitness Instructor. 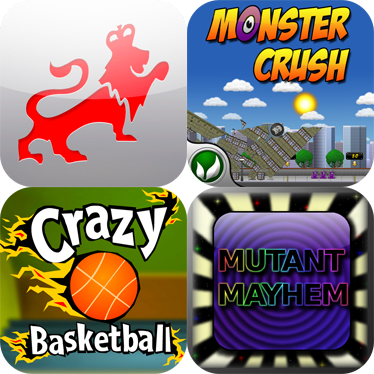 We also have a handful of quality games gone free for you to sit back and enjoy on your last day off.